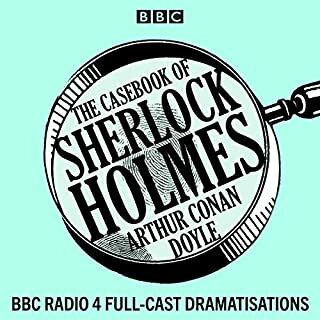 Clive Merrison and Michael Williams star as Holmes and Watson in this collection of stories from the unique fully dramatised BBC Radio 4 canon, based on Arthur Conan Doyle's original short stories. 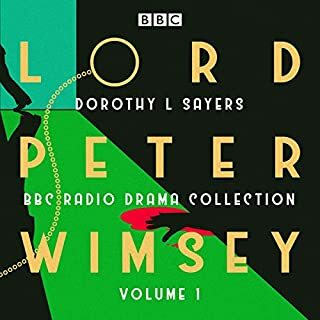 The 12 dramatisations include 'A Scandal in Bohemia'; 'The Red-Headed League'; 'A Case of Identity'; 'The Boscombe Valley Mystery'; 'The Five Orange Pips'; 'The Man with the Twisted Lip'; and 'The Adventure of the Blue Carbuncle'. 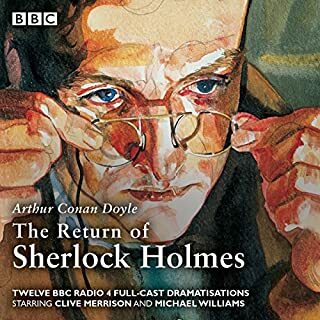 Clive Merrison stars as Holmes with Michael Williams as Watson in these 12 adventures from the unique, fully dramatised BBC canon of Conan Doyle's short stories and novels. The 12 dramatisations are 'The Illustrious Client', 'The Blanched Soldier', 'The Mazarin Stone', 'The Three Gables', 'The Sussex Vampire', 'The Three Garridebs', 'The Problem of Thor Bridge', 'The Creeping Man', 'The Lion's Mane', 'The Veiled Lodger', 'Shoscombe Old Place' and 'The Retired Colourman'. 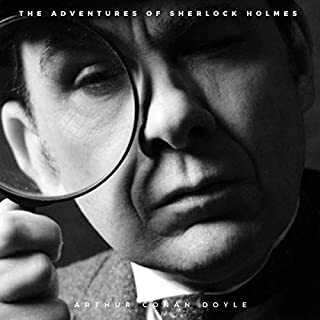 Dr. Watson chronicles here some of the more interesting detective cases that he and his good friend, Mr. Sherlock Holmes, have encountered during their association. 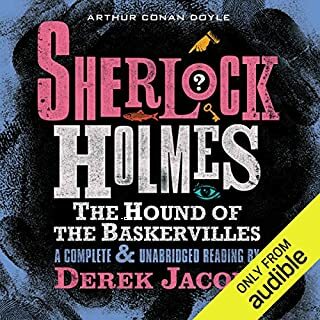 We see the cases unfold as he does, scratch our heads as does he while the evidence is collected, and then marvel at the impeccable observations, remarkable insight, and doggedness which Holmes displays as he teases apart the tangled clues. 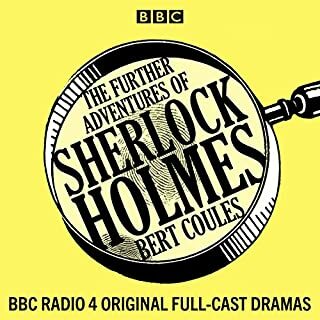 Clive Merrison and Michael Williams star as Holmes and Watson in these 12 full-cast dramatisations of short stories by Arthur Conan Doyle. The stories are: 'The Empty House', 'The Norwood Builder', 'The Dancing Men', 'The Solitary Cyclist', 'The Priory School', 'Black Peter', 'Charles Augustus Milverton', 'The Six Napoleons', 'The Three Students', 'The Golden Pince-Nez', 'The Missing Three-Quarter' and 'The Abbey Grange'. 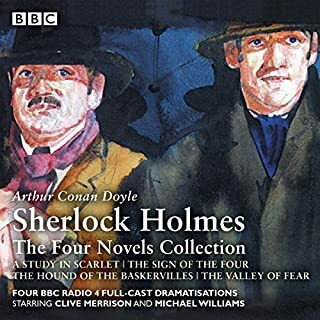 Clive Merrison stars as Holmes, with Michael Williams as Watson, in these four adventures from the unique, fully dramatised BBC canon of Conan Doyle stories: A Study In Scarlet, The Sign of the Four, The Hound of the Baskervilles and The Valley of Fear. Could the sudden death of Sir Charles Baskerville have been caused by the gigantic ghostly hound which is said to have haunted his family for generations? Arch-rationalist Sherlock Holmes characteristically dismisses the theory as nonsense. In these eight intriguing tales, Holmes and Watson solve cases that range from the suspicious to the downright strange. They encounter mysteries as diverse as vanishing staff, secret plans and eccentric lodgers as Holmes is struck down by a rare tropical disease and, later, lured away from retirement to help his country on the eve of war. 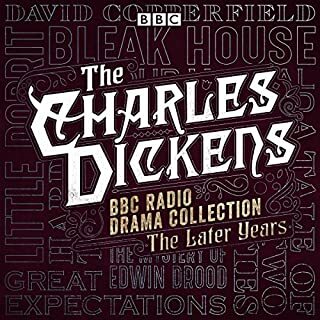 Enthralling radio dramatisations of eight of Charles Dickens' much-loved novels. Charles Dickens is one of the most renowned authors of all time, and this second digital volume of the dramatised canon of his work includes eight of his classic novels. This collection includes the epic masterpiece David Copperfield, described by Dickens as his 'favourite child'; suspenseful mystery Bleak House; Dickens' most openly political novel, Hard Times; and Little Dorrit. 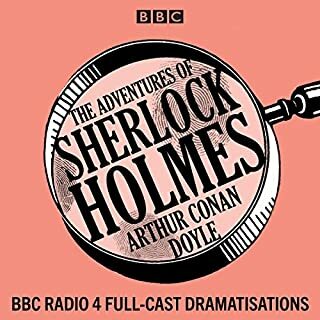 Clive Merrison stars as Holmes, with Michael Williams as Watson, in this collection from the unique, fully dramatised BBC Radio 4 canon. 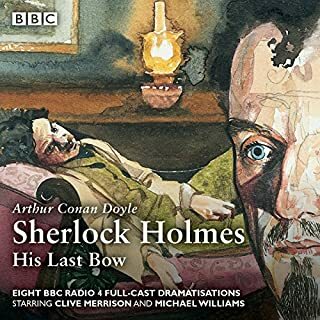 These 12 stories range from Holmes' very first case to the epic struggle between Holmes and Moriarty high above the Reichenbach Falls. 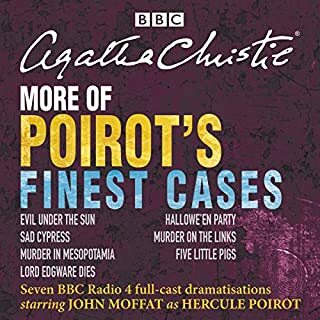 The stories are: 'Silver Blaze'; 'The Yellow Face'; 'The Stockbroker's Clerk'; 'The 'Gloria Scott''; 'The Musgrave Ritual'; 'The Reigate Squires'; 'The Crooked Man'; 'The Resident Patient'; 'The Greek Interpreter'; 'The Naval Treaty'; 'The Second Stain'; and 'The Final Problem'. Gripping, suspenseful and hugely entertaining, these acclaimed dramatisations bring the world of Holmes and Watson to life and are guaranteed to appeal to any fan of the great detective. Duration: 9 hours approx. What about Clive Merrison and Michael Williams ’s performance did you like? Merrison is the perfect Sherlock Holmes, in my view. He is the voice of Holmes when I think of the character or when I read anything relating to the sleuth. You could do that, I guess, but I rather enjoy listening to the audio plays in a piecemeal fashion. Best Holmes there is, bar none. I've long been a fan of Clive Merrison's Sherlock Holmes. Merrison performed every story in the canon of Sherlock Holmes for the BBC, and are in my opinion unsurpassed. 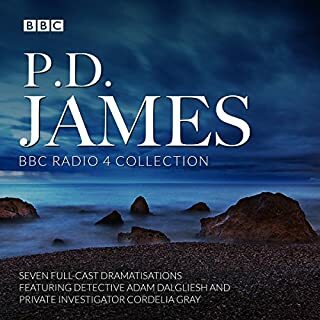 Up until now I've had to wait for repeats to be aired on Radio 4, so finding them on audible was amazing. I urge any serious Sherlock Holmes fan not to overlook these plays for more recent readings or TV programmes. These are classic Sherlock at its best. 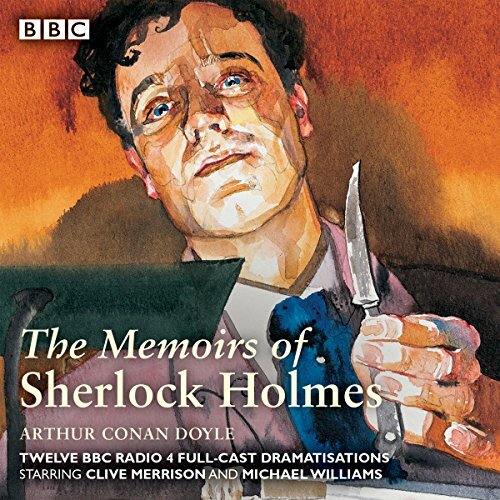 A fantastic play of your favourite stories about the great detective. Having listened to the original works, I thoroughly enjoyed this. There are many readings and dramatisations of the Holmes canon but this will remain the ultimate interpretation. Outstanding! The content of the book is fine if you like a bit of light fiction from time to time but i am only giving it it three stars as a result of a publishing error. I am not quite sure who is responsible for this error but the two last names of this author are run into one I.e. Conandoyle, hence this audio book is filed under C in my library catalogue and not under D with my other books by the same author. In my expanding library this mistake I a bit irksome.